This is one very popular client for Minecraft. 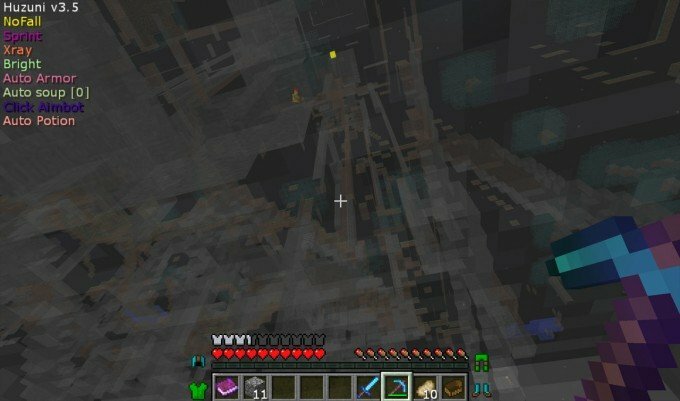 It is packed with great features/mods/cheats that can be used online on standard Minecraft servers. Older versions of Huzuni is still available. 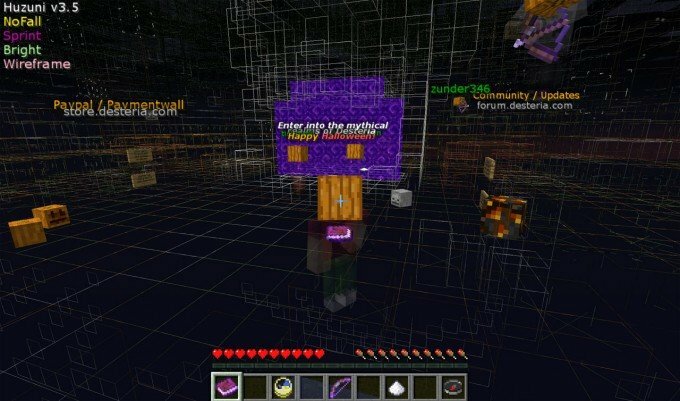 As mentioned before, it can be used online on servers where features like Xray can be useful or easy finding diamonds and the combat mods are very useful for PvP modes. 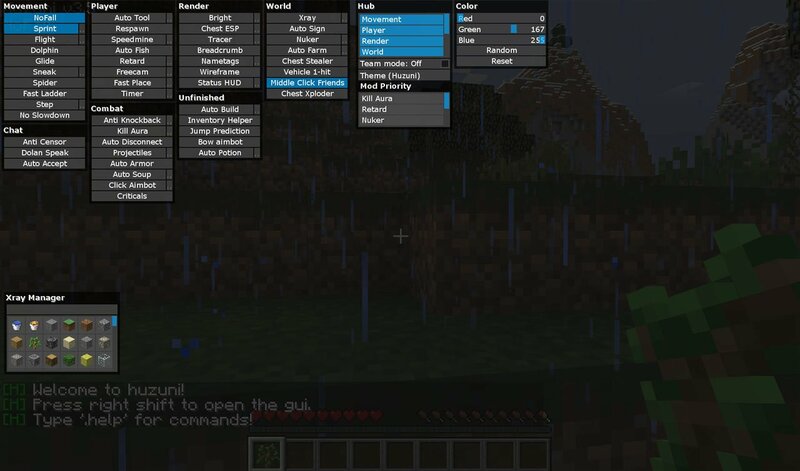 It has in-game options and a nice GUI overlay. Just click “right shift” to open the menu. 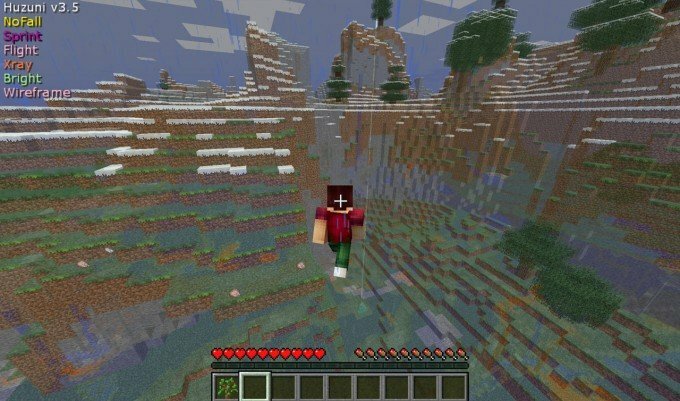 Update: Check out Huzuni for Minecraft 1.10.x. 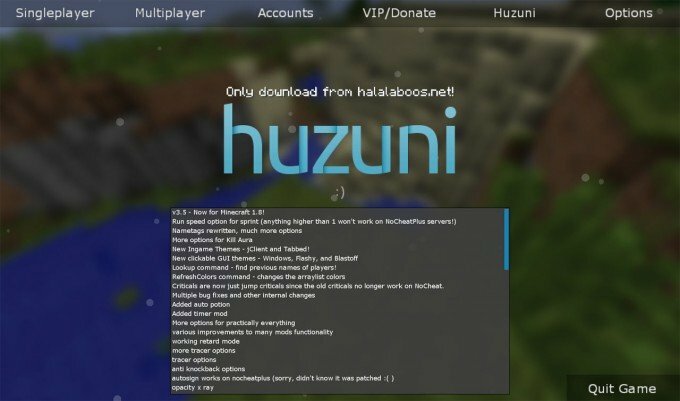 Huzuni is a Minecraft Griefing client originally developed by Halalaboos and co-developed by brudin, his best friend. 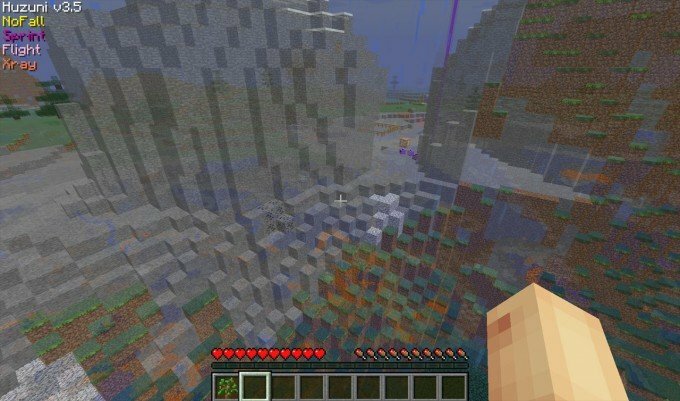 Originally it was a private client made by the two entitled ‘Poohbear’, but after a freak accident, its development was discontinued. Thus we have moved onto making a new client and using the event system from the original client. I guess you could say it’s just poohbear renamed, but it really is not. Now, its a free Minecraft griefing client made to suit your needs when it comes to griefing. Choose the newly created profile “Huzuni″ and click “Play”.